From making chocolates to prepping floral arrangements, UFCW members have been busy making sure you have everything you need to make a memorable Valentine’s Day. When you give a box of See’s Candies, Ghiradelli chocolates or Hershey’s kisses, know they taste a little sweeter because they are made with love by talented union members. Valentine’s Day is one of the busiest days at See’s, when anywhere from 200 to 600 customers are expected to come through a store. Many people look forward all year to seasonal favorites like the See’s Hot Hearts, which are only available around Valentine’s Day. Need help with your bouquet? The UFCW also represents florists at union grocery stores all across the country. Michelle is a florist at Kroger in Texas, where she enjoys creating the perfect floral arrangements and bouquets to help brighten someone’s day. She recently shared how to properly arrange a bouquet in a vase, but if you still need some help, just ask your local union florist and they’ll be happy to share their expertise with you. 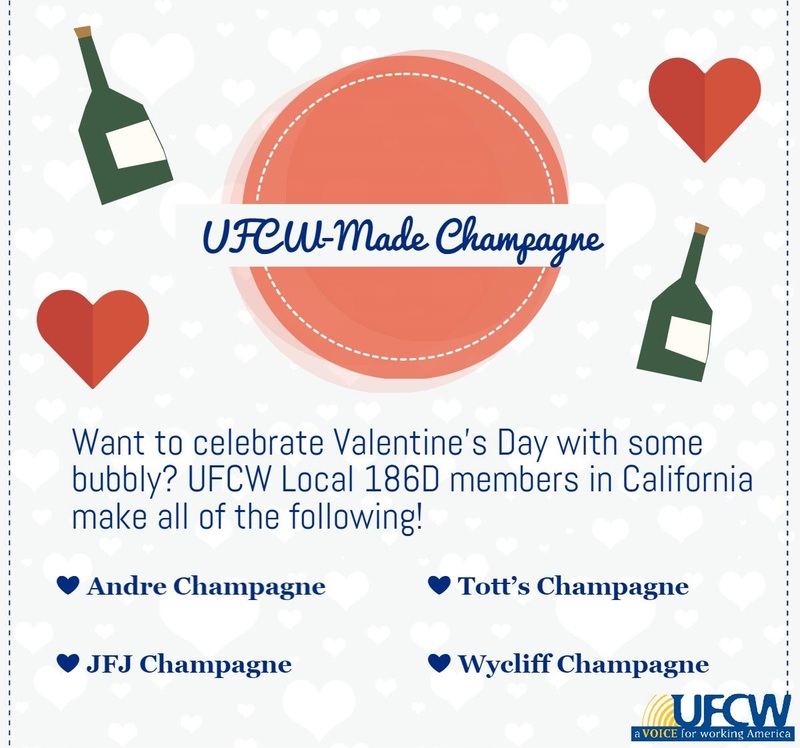 UFCW Local 186D members in California make sparkling wine that is perfect for Valentine’s Day champagne cocktails. Try a classic cocktail recipe, like a French 75 or a Cherub’s Cup, and impress your loved one with your mixology skills. 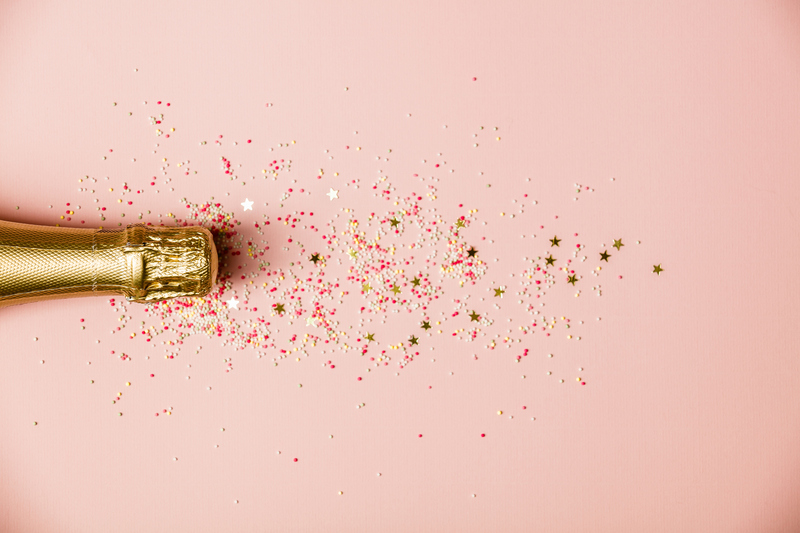 Champagne cocktails are a great way to enjoy something fancy for special occasions without breaking the bank. 1. In a cocktail shaker filled with ice, add chopped strawberries and muddle. 2. Add all ingredients aside from the rosé sparkling wine and shake vigorously until well chilled. 3. Strain into cocktail glasses filled with ice and top with a splash of the sparkling wine. 4. Garnish with a strawberry and enjoy!